Jul 15 – St Bonaventure of Bagnoregio, OFM, (1221-1274 AD), Franciscan Minister-General, Cardinal, Doctor of the Church, “The Seraphic Doctor” | ADULT CATECHESIS & CHRISTIAN RELIGIOUS LITERACY IN THE ROMAN CATHOLIC TRADITION: hosting ONLY True Christians!! !, or "How to think Catholic!!" Given the name John at birth, the future saint received the name of Bonaventure in consequence of an exclamation of St. Francis of Assisi, when, in response to the pleading of the child’s mother, the saint prayed for John’s recovery from a dangerous illness, and, foreseeing the future greatness of the little John, cried out “O Buona ventura” = O good fortune! Maria must have met Francis when he visited in her area some years before. 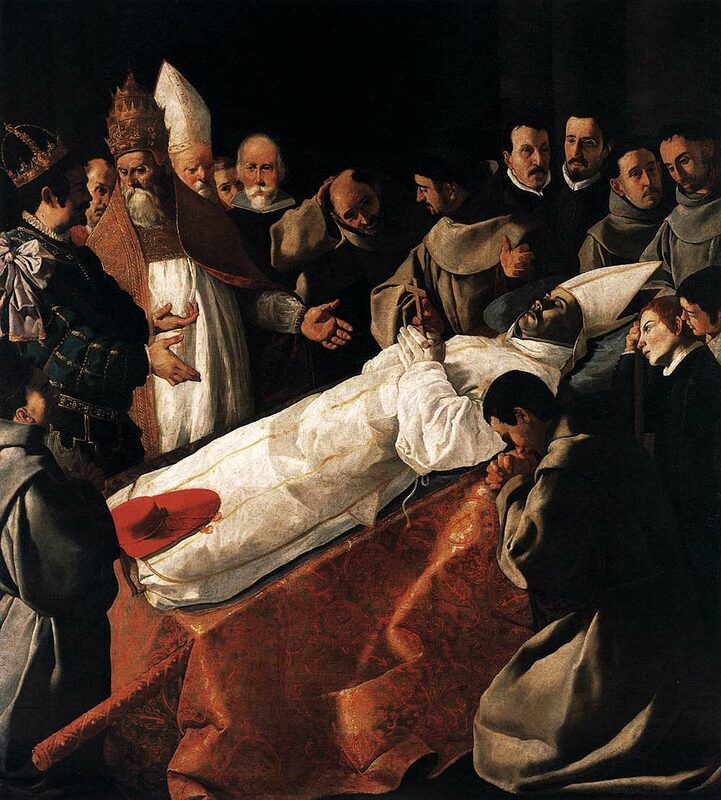 Francis had died in 1226 and word of his great holiness and favor with God had spread widely. John then continued to grow into a healthy teenager. He attended school at the local Franciscan friary where it soon became evident that he had a very brilliant mind. Then at the age of seventeen, the time came for him to pursue higher studies. His father sent him to study at the University of Paris. John settled into his new surroundings without delay. His fellow students and teachers quickly become aware of his brilliance. This was a teenager who knew he did not know all the answers, who always wanted to learn more. And his classmates and teachers began to notice something else about John – here was a very humble person. Honors of any kind were not for him. And as John continued his studies, the Franciscan Order continued to grow, now numbering in the thousands. Then, not too long after John’s arrival in Paris, the most renowned professor at the University, the famous Englishman Alexander of Hales, joined the Franciscan Order. This was very important for the Order, for it established them officially as part of the university. As a side effect, it also gave further impetus to a growing rift within the Order itself between those who wanted to follow the simplicity of Francis and those who wanted to add intellectual efforts. In later years, this rift between the two sides would play an important role in John’s life. Then, in 1243, John himself joined the Franciscan Order. He took the name Bonaventure, from the Italian expression “Bona Ventura” or Happy Voyage/Good Fortune. By this name, he was known for the rest of his life, and now down through the ages. He continued his studies at the University and five years later was licensed to teach there. At this time, the first of his writing began to appear. He would continue to produce these writings for the rest of his life. His great writings were important, analyzing as they did great theological questions. For example, he wrote about the role of Christ in God’s overall plan for the world. It is hard for us to grasp the magnitude of his mind. His writings filled nine volumes, each page with double column. His writings are still studied and treasured today. But Bonaventure did not live in a cloud. He went about his daily tasks as always with his deep sense of humility. Still another side of Bonaventure’s character was becoming evident to all, especially the Pope. Because of his great personal holiness and the great respect he commanded, plus his ability to see both sides of an issue, more and more often he was called upon to arbitrate whenever arguments arose. For the next six years he continued his teaching and writing and personal study. Then, in 1254, he was made a Master of Theology and took over the leadership of the Franciscan School in Paris. In 1256, a serious dispute broke out at the University over the role of religious orders including the Franciscans, who wanted strick simplicity as a way of life. Although he presented a stirring defense of their ideal. One year later, in 1257, the long simmering dispute within the Order was getting out of hand. Pope Alexander IV stepped in. He secretly ordered the then Minister General of the Order to resign. 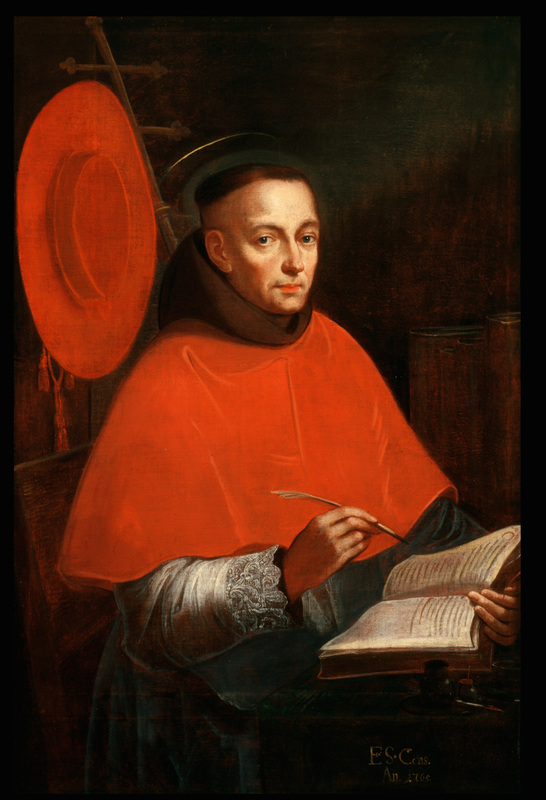 This General, John of Palma, recommended Bonaventure as his successor… the Pope agreed. Bonaventure was officially confirmed as Minister General at a General Chapter meeting held in Rome. He would have been just 40 years old. As Minister General, Bonaventure was a very busy man. He wanted to make Paris the center of the Order, but he travelled to Rome every year in support of those in the Order who preferred the simple ideal of poverty and missionary work among the people. While in Rome, he would confer with the Pope on matters of interest to Bonaventure and on matters of interest to the Pope. We do not know if, during any of these visits, he was able to see his parents. It is doubtful since at least 23 years had passed since he left them as a teenager of seventeen. When he took over leadership of the Franciscans, one of the first things he wanted to do was to reunite this great Order. This he did. In 1260, the Order adopted a new constitution written by Bonaventure. A new biography of Francis, also written by Bonaventure, was adopted as the official biography, and all other versions were destroyed. To some, Bonaventure became known as the second founder of the Order. During these years, while administering an order which spread all over Europe and beyond, numbering in the many thousands, he somehow found the time to continue his writing. He also produced an extended series of sermons and, of course, continued his annual trips to Rome. In 1273, in recognition of his accomplishments, Pope Gregory X, appointed him a Cardinal. We do not know what his reaction was to this high honor. “Pierce, O most Sweet Lord Jesus, my inmost soul with the most joyous and healthful wound of Thy love, with true, serene, and most holy apostolic charity, that my soul may ever languish and melt with love and longing for Thee, that it may yearn for Thee and faint for Thy courts, and long to be dissolved and to be with Thee. Grant that my soul may hunger after Thee, the bread of angels, the refreshment of holy souls, our daily and super-substantial bread, having all sweetness and savor and every delight of taste; let my heart ever hunger after and feed upon Thee, upon whom the angels desire to look, and may my inmost soul be filled with the sweetness of Thy savor; may it ever thirst after Thee, the fountain of life, the fountain of wisdom and knowledge, the fountain of eternal light, the torrent of pleasure, the richness of the house of God. “Christ is both the way and the door. Christ is the staircase and the vehicle, like the “throne of mercy over the Ark of the Covenant,” and “the mystery hidden from the ages.” A man should turn his full attention to this Throne of Mercy, and should gaze at Him hanging on the Cross, full of faith, hope, and charity, devoted, full of wonder and joy, marked by gratitude, and open to praise and jubilation. For this passover to be perfect, we must suspend all operations of the mind and we must transform the peak of our affections, directing them to God alone. This is a sacred mystical experience. It cannot be comprehended by anyone unless he surrenders himself to it; nor can he surrender himself to it unless he longs for it; nor can he long for it unless the Holy Spirit, Whom Christ sent into the world, should come and inflame his innermost soul. Hence the Apostle says that this mystical wisdom is revealed by the Holy Spirit. If you ask how such things can occur, seek the answer in God’s grace, not in doctrine; in the longing of the will, not in the understanding; in the sighs of prayer, not in research; seek the bridegroom not the teacher; God and not man; darkness not daylight; and look not to the light but rather to the raging fire that carries the sou to God with intense fervor and glowing love. The fire is God, and the furnace is in Jerusalem, fired by Christ in the ardor of His loving passion. Only he understood this Who said: My Soul chose hanging and My Bones death. Anyone who cherishes this kind of death can see God, for it is certainly true that: No man can look upon Me and live. Lord, Jesus, as God’s Spirit came down and rested upon You. Previous PostJul 11 – St Benedict of Nursia, (480-543 AD), Abbot, “Ora et Labora”, Father of Western Monasticism, “Put Christ Before All Else”Next PostJul 16 – Our Lady of Mt Caramel? Caramelites??? ?